Though Egypt may not come to mind when you think of Barcelona, think again, as the city’s Egyptian Museum displays an impressive collection of some 1,000 ancient artifacts from the African country. The pieces once belonged to the museum’s founder, Catalan Jordi Clos, and are now on display in the intimate and relatively crowd-free galleries found just off the main drag of Passeig de Gracia. The diverse permanent collection spans everything from ceramics to jewelry, mummies, and a host of items related to the culture and funeral practices. Meanwhile, rotating exhibitions offer other themed looks into Egypt’s distant past. Cap off your visit with a snack at the outdoor terrace and a visit the museum’s Egypt-inspired store. 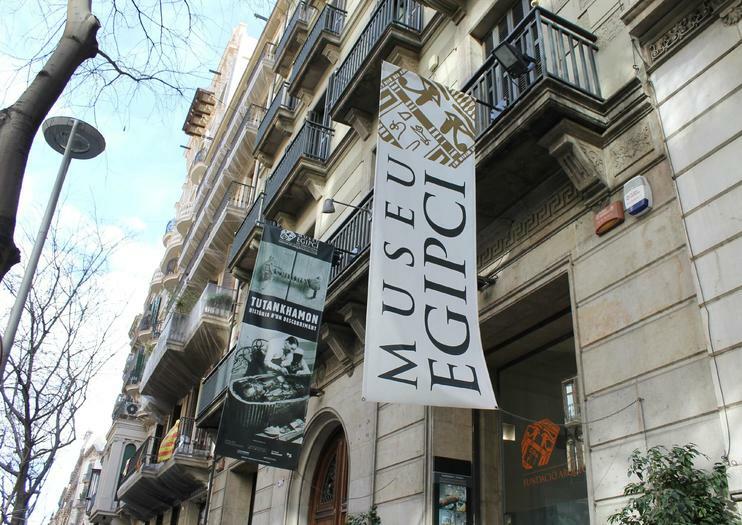 The Egyptian Museum is situated just steps away from popular Passeig de Gracia sights such as La Pedrera and Casa Batllo, and is also close to the hop-on hop-off bus tour stop Gràcia. Note that during several off-season months the museum closes between 2 p.m. and 4 p.m. on weekdays. More than 2,000 m2 of gallery space showcase almost one thousand exhibits, including sarcophagi, mummies, jewellery and amulets, to give us a greater understanding of everyday life and the prevailing customs of the ancient civilisation of the Pharaohs.The Museu Egipci de Barcelona runs guided tours of its collections led by Egyptologists, which are essential in order to give visitors a greater understanding and knowledge of Egyptian culture and civilisation. Save money with the Barcelona Pass that grants you access to more than 20 top attractions around the popular Spanish city. Along with a 2-, 3-, or 4-day pass, you’ll receive a hop-on hop-off tour of the city, a guidebook with information and maps, and special offers to save even more money as you explore Barcelona. Plus, you can also upgrade to include unlimited access to the public transport system if you wish.